Where to pan the Gila River New Mexico ? I'm Steve, a 54 yr.old retired fireman form New Orleans, Louisiana. Headed for SW New Mexico in April. I plan on being there camping and prospecting for about six months. My first adventure panning for gold was a dismal failure. Spent 6 weeks on then Appalachian Trail north of Dahlonega, Georgia in the Blue Ridge Mountains primitive camping and prospecting. Naturally i made all the classic rookie mistakes. Didin't know anyhting about classifying material or seperating magnetite from fine gold. I didn't even bring along a bucket. Just figured it would be easier to pick the biggest nuggets out of my slick new pan after turning over a few big boulders with a pry bar. I nearly froze my hands and feet off in the icy cold water. The tale is still the subject of much laughter and joking at family gatherings. This time around i'm way better prepared. I have all the basic equipement,(buckets,screens,brushes,magnets and water proof gloves and boots. Right now i'm in the process of studying satellite pics of the Gila River about 8 miles south of the town of Cliff,NM closest to Bill Evans Road. Still haven't recieved my New Mexico gold map in the mail though. Hopefully this will be a productive area, but no one has confirmed i'm looking in the right place yet. If anyone has panned in this area, i'd be grateful for any pointers on specific locations. Also any other locations in SW New Mexico on National Park Land where you figure a newbie like myself might stand a chance of finding something respectable. Sorry Catfish. No gold in the Gila in New Mexico. In Arizona, yes. Darn good fishing at Bill Evans though. Pinos Altos will be the closest spot you can prospect and get color. There are great areas near where you will be at but all are very closely guarded and on big company patents. There are several areas around Silver City that you can get some color. And Whitewater Creek is a must for you as well as Mogollon. All very famous mining areas but very little placer gold. Despite the fact that the Mogollon area at one point in the past produced more gold than all other states combined. Gold Gulch, the Burro Mts. and White Signal all produce placer as well. Get the green book, "Placer Gold Deposits of New Mexico" by Maureen J. Johnson. That book will tell the tale as well as any will for you. 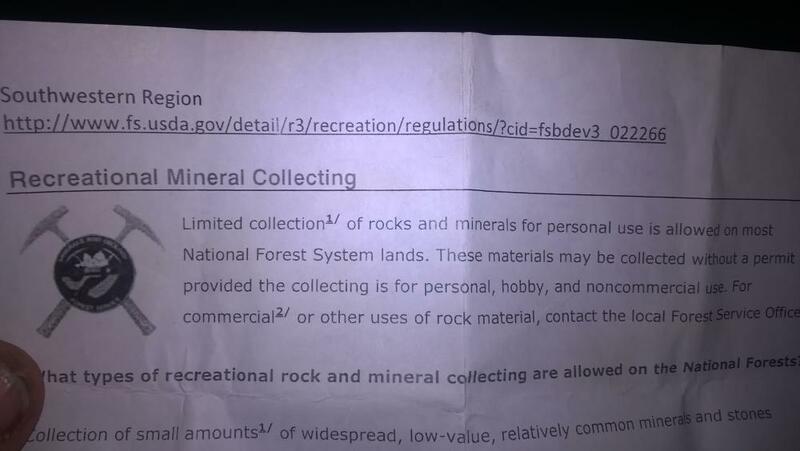 Oh, and you cant prospect in any National Park that I know of. I am sure you meant National Forest? Anyhoo, there is a big difference. Just thought I might point that out. I dont know of any placer area in any National Park here anyway. Some in State parks, but it is the same difference. 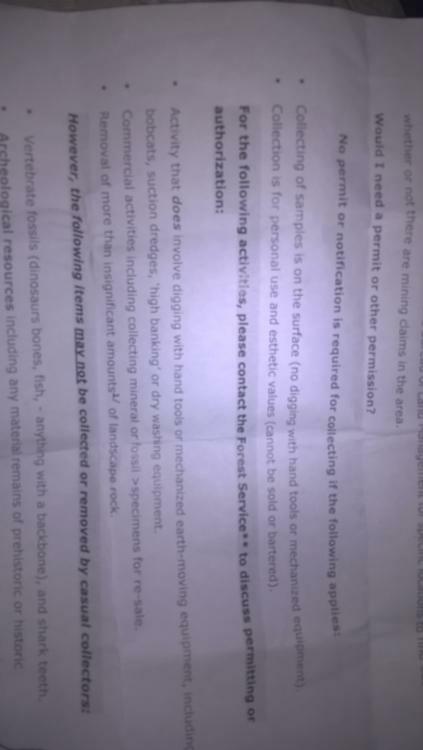 All parks ahve been withdrawn form mineral entry meaning no prospecting. And I can guarantee that any placer area on public land is claimed over three deep in mining claims. That does not mean that you cant prospect, it just means that you must do your research and ask proper permission before prospecting. If it must be NM, then you might look into gold prospecting clubs there, or a little farther north in Colorado, or west into AZ if you feel more flexable. With the price of gold being what it is, most of the good areas are claimed up, even the really remote areas! Might just bite the bullet and go north to Alaska. I know a group up there that could use all the help they can get! Bedrock Bob has it right the Gila is generally too sandy and it has huge floods but any gold is buried beyond your reach, Gold Gulch has been worked and reworked and the Burros are mostly hard rock and as BB said all claimed by BIG company's, you would be far better off in AZ, lots of club claims, don't fall for the snake oil salesmen selling claims either, if a claim was worth the average 10 grand they are asking then ask them why they want to sell it with the cost of gold increasing daily!. My family has lived in the Silver City and surrounding area since the Mormon Trail....Long time......Living in a Mining state and community, and family working for Phelps Dodge, Cobre Mine, ect. I have learned many things about the minerals and gems. My grandfather told me once that companies waste time with locating equipment when they should just hire local residence who Know the area and for generations mined it.. I never as a child to graduation in silver city really cared about rocks I called it. for the last couple of years I have been what is legally called " recreational gold panning "...lol. Given the age of the gold bearing formations (tertiary volcanic) they haven't had time to uplift and errode away releasing their gold into placer form, I'd wager the majority is still locked up in hardrock and what little you do find will be big and chunky and on the mountains or darn close.